The 2017 Jeep Patriot is a great option for someone looking for an economy-friendly Jeep vehicle. It features many of the traits that appeal to Jeep customers but at a lower price point. 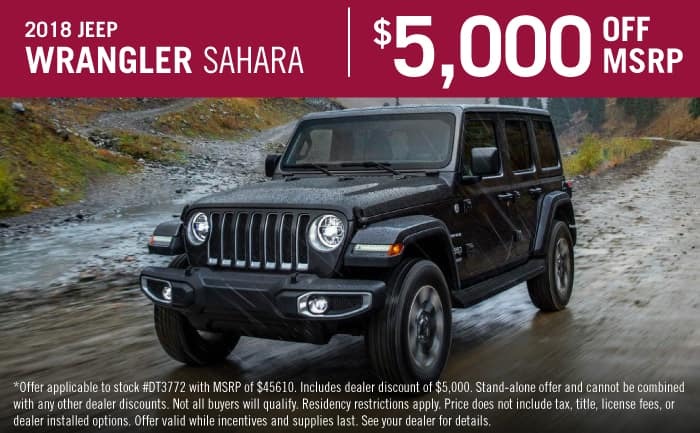 This vehicle offers fuel-economy and better than average off-road capability over two trim levels. Jeep’s signature look is well maintained in the Patriot. It offers versatility in the form of two engine options, four available transmissions, and three different drivetrains that can be purchased in a variety of permutations. This lets the driver pick the right combination of equipment for the tasks they’ll be dealing with day-to-day. The Jeep Patriot can come equipped with one of two different engines as a source of power; which one comes standard is determined by the drivetrain. All vehicles equipped with front-wheel drive come standard with 2.0-liter engine while the vehicles equipped with all-wheel drive are powered by a 2.4-liter engine. The 2.0-liter engine offers 158 horsepower and 141 pound-feet of torque. The 2.4-liter engine brings that up to 172 horsepower and 165 pound-feet of torque. There are two four-wheel-drive options to choose from: The Freedom Drive I and the Freedom Drive II. Freedom Drive I is great for adding some security on slippery roads. Inclement weather is no match for the added traction this system provides. The Patriot has four available transmission options. The standard option for the Patriot is a five-speed manual transmission. There is also an available six-speed automatic and a Continuously Variable Transmission option for the 2.0-liter engine. The Freedom Trail II package provides a unique combination of a CVT with the 2.4-liter engine and other traction-enhancing features. The Jeep Patriot can be purchased in one of two trim levels: the Sport and the Latitude. It also can be purchased with a number of sub trims and packages. The Patriot comes equipped with a solid amount of standard features offering the utility you need at a cost effective price. There’s plenty of cargo room in the back, 23 cubic feet or 53.5 cubic feet with the rear row of seats folded down. Flip-down liftgate speakers and a 6.5-inch touchscreen console are available as optional features. If you’re looking to add some additional equipment to the Patriot, there are a variety of available packages that offer features like remote keyless entry and a sunroof. The Power Value group is especially nice and includes heated mirrors, power accessories, and automatic headlights. Upgrade to the Latitude model and get leather-wrapped steering wheel, heated front seats, a height adjustable driver seat, remote keyless entry, and all the features of the Power Value group among others. I’m looking for a specific replacement part. Can you help me find one? How many trim levels are there for the Patriot? There are two: the Sport and the Latitude. The Jeep Patriot can be equipped with over 30 available and standard safety features. Which features are included is largely determined by the equipment on the vehicle as well as the trim level. Standard safety features for all Jeep Patriots include traction and stability control, front side airbags, and side curtain airbags. Jeep Patriots with front-wheel drive comes with rear drum and front disc brakes, whereas the all-wheel-drive-equipped vehicles come with front and rear disc brakes. The Jeep Patriot is an economy-friendly vehicle with a lot of value.